With 55 flights flown during the day our instructors and gliders were kept quite busy. First flight was at 8:48am and the last took off at 17:58 landing some 12 mins later. By the end of the day we had flown 28 trial lessons, 2 members guests and we also had a visit from Clive Harder (ex member and BI at Shalbourne) who a had a flight with Pete Smith, about time you re-joined Clive! Rods eye view of a launch, can you guess the time! 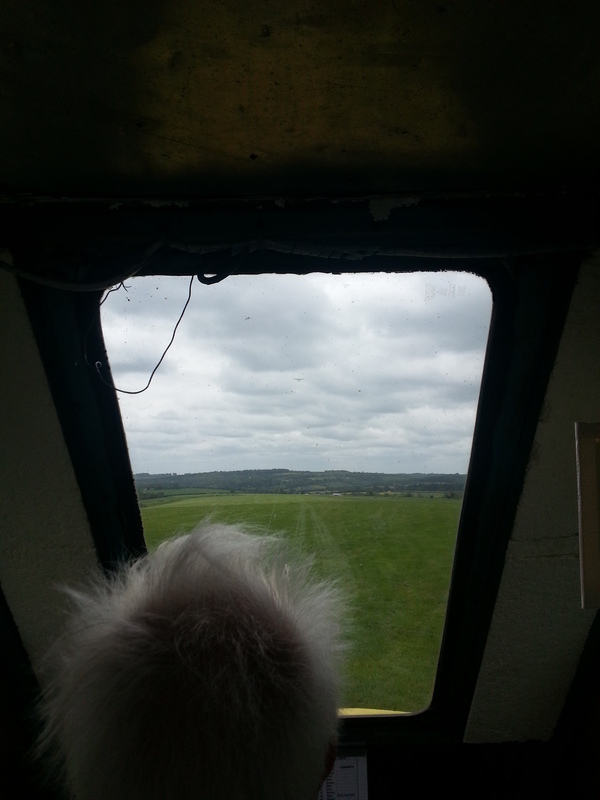 Apart from the numerous happy visitors there were some notable flights by club members, Bill Orson had 35 mins in the K8 only to be trumped by John Douglass who, during his first flight in a K8, had 46 mins ………well done John but you really should have done the hour! However Trevor took top honours with 46 mins in EGF followed later on with 50 mins again in EGF, no surprises there! Many thanks to all who flew the visitors and thanks also to everyone who helped out on the ground as I’m sure that everyone enjoyed themselves.